The Only Advice That Really Matters Is The Kind That Helps You! That I hear them asked regularly from others as well. So I asked myself how can I help all of you… without having to repeat myself? 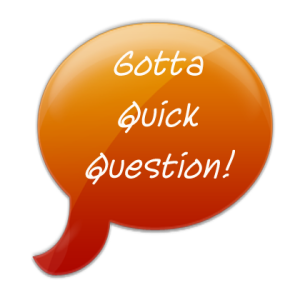 And the result; I created this page for you to ask your question any time. Just fill in the boxes below and every month I will answer one or more questions in my Gotta Quick Question video series which is always available on YouTube here and in my emails!